Financial firms of all shapes and sizes are facing advanced threats on a daily basis – rarely a day goes by without seeing another headline about a cyberattack or data breach. Cybercriminals are going after the most sensitive data knowing how and where to find it. With compliance standards and audit regulations becoming more stringent, and the rising prevalence of cyber threats, the need to protect vulnerable critical information has never been more important. 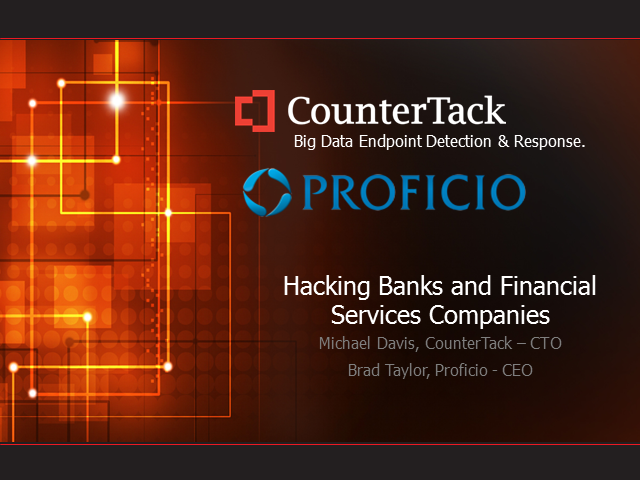 During this webinar, CounterTack and Proficio will discuss the growing need for financial institutions to have next-generation endpoint security solutions combined with 24x7 security monitoring and alerting.